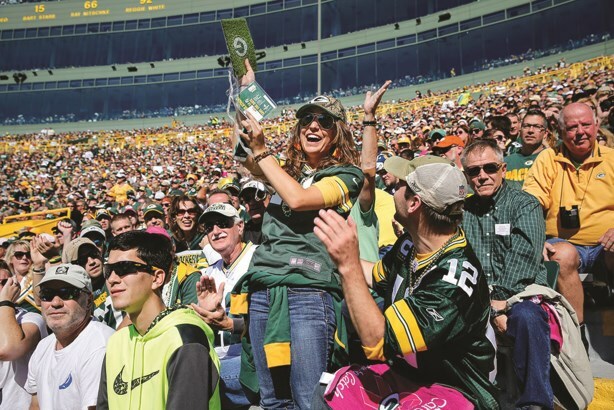 Associated Bank is highlighting its long-term partnership with the Green Bay Packers to connect with fans in new, authentic ways. The financial services company has been the team’s official bank for lending and commercial deposits, merchant credit and card services, and some investment management since 1919, says Christopher Piotrowski, EVP and CMO at Associated Bank. In addition to the existing relationship, the Touchdown Central campaign fell into place because some of the players, including Davante Adams, Randall Cobb, and Jordy Nelson are all customers. Piotrowski says Associated Bank wants to connect with consumers and drive consideration for the bank by surprising people in unique ways. "People aren’t looking to be marketed to. They’re looking to have authentic experiences with us as an organization," he adds. In addition to its TV ad, created by Colle+McVoy, Associated Bank launched a Touchdown Central microsite, inviting fans to upload photos of touchdown celebrations and choose one of the three players to overlay into the images with them. Fans can share the photo with #ABTDCentral for a chance to win autographed jerseys. One month after the campaign launched, Associated Bank’s Twitter followers increased 108% and Facebook likes climbed 107%. The brand has seen 62% more checking accounts opened in October 2015 compared to the same period last year. The brand also set up fan challenges at the Packers’ Lambeau Field, where attendees can toss footballs to test for speed and accuracy and earn personalized digital statistics cards, which can be shared on social. The bank also launched a Turf Search Challenge during the Green Bay vs. St. Louis Rams game on October 11, in which it hid pieces of simulated Lambeau turf under 50 stadium seats. Winners are invited to an exclusive event in December to meet Adams, Cobb, and Nelson and receive signed prizes. The campaign will continue through the end of football season and if the team makes the playoffs, the brand will think of ways to "surprise" fans.